Medicare Made Easy – How and when do I enroll? If you’re approaching age 65 it’s likely you have questions about Medicare coverage. We are often asked: HOW do I enroll in Medicare? Just as there are open enrollment dates for health insurance coverage since the introduction of the Affordable Care Act (ACA), there are also open enrollment dates for Medicare coverage. 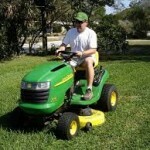 Lawn mower liability – Don’t mow your neighbor’s lawn! You heard right…we’re encouraging you to be a less than neighborly neighbor and NOT mow your neighbors lawn. Liability coverage is what pays out in the event someone else is injured on your property due to your negligence. More common instances include a visitor falling and injuring him or herself in your home. Although your mower is considered your possession or personal property by ownership, if it is not being used on your property, liability coverage from your homeowner’s insurance policy will not pay. For example, say you are mowing your neighbor’s lawn and accidentally injure them or a member of their family in the process. While it would be an unfortunate incident nonetheless, it becomes a costly one as well because neither yours nor your neighbor’s home insurance policy will contribute to the cost of the medical bills. This is also important to keep in mind if you tow your mower to other locations for use – possibly some additional land, a family members yard, etc . 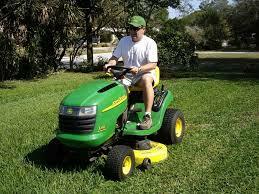 Simply stated: If you’re using your mower on your yard, you’re covered.